Garmin have announced the Edge 130, a compact and lightweight, yet rugged GPS bike computer with easy-to-use navigation and unique cycling awareness features. “Don’t let the size of the Edge 130 fool you – this cycling computer is packed with features,” said Adam Howarth, General Manager Garmin Australasia. Using GPS, GLONASS and Galileo satellites, plus a built-in barometer, the Edge 130 will provide greater coverage and more accurate ride data so cyclists know how far, fast and high they ride. Before heading out, riders can plan and download their routes on the improved and revamped Course Creator in Garmin Connect, which uses Trendline popularity routing to provide riders with the best road, mountain or gravel routes that are aggregated from those most travelled by fellow cyclists. During a ride, the Edge 130 also provides easy-to-read course prompts and audible turn cues that guide a cyclist on where to go next. If needed, it will even direct users back to their starting location. Garmin say the Edge 130’s smart connectivity features will also reduce cyclists' need to reach for their phone. Text messages will appear on the device screen so cyclists can view them at a glance and keep on riding. A new weather page will display current and forecasted conditions, as well as weather alerts to help keep users from getting stuck in a downpour. 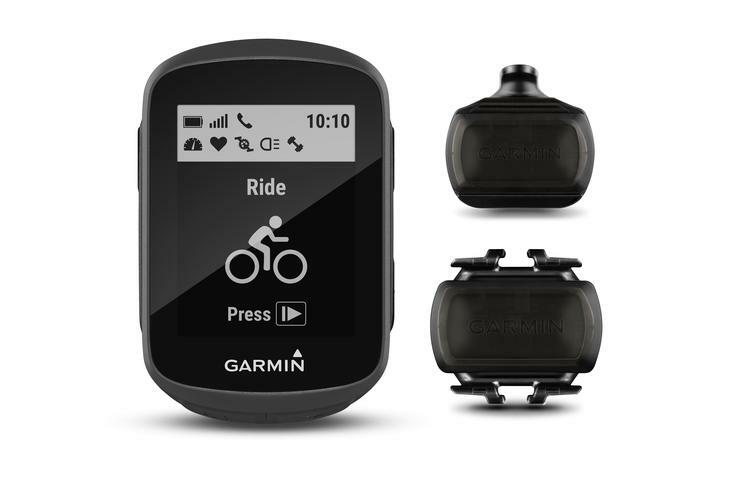 When paired with a compatible smartphone, the Edge 130 also automatically uploads rides to the Garmin Connect online fitness community and is customisable by downloading configurable data fields from the Connect IQ store. The Edge 130 features up to 15 hours of battery life for $299. A bundle option, which includes speed and cadence sensors, is available for $349. A mountain bike bundle, which includes a mountain bike mount, edge remote control and silicone case is available for $349.